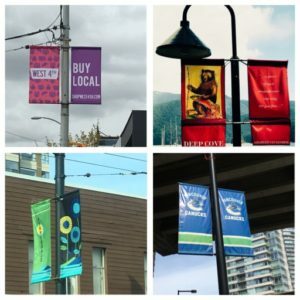 You may wonder what Putney has in common with Vancouver? 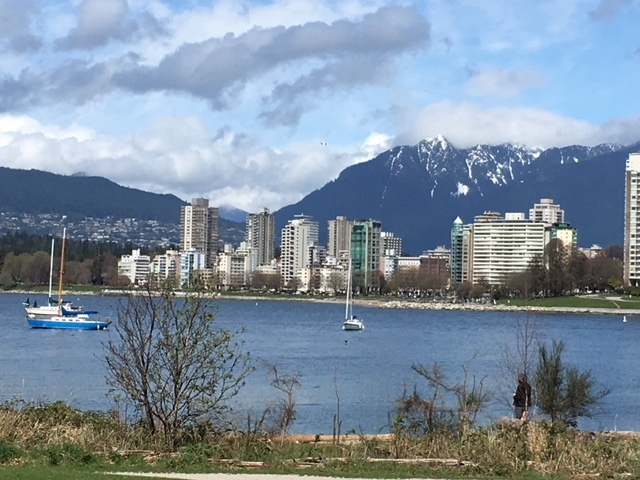 Nicola Grant, Positively Putney Executive Director recently visited Vancouver for a family wedding and whilst she was there she took the opportunity to look into how Business Improvement Districts work in British Columbia as they originated in Canada. She met up with Peter Vaisbord, the Business Improvement Association Co-ordinator for 22 BIAs at Vanc0uver City Council. Having worked in the industry for twenty years he had lots of knowledge to impart. Interestingly, most of the common issues were the same as the UK ones. Vancouver is a beautiful city with mountains, beach and water. The streets are clean and well maintained and parking (albeit pay to park) a key priority in every neighbourhood. There are lots of cars but the traffic system with one way streets works well. 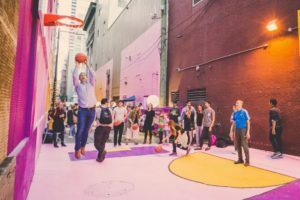 Nicola particularly liked the back alley activation such as the basketball court and the popular use of banners to delineate a ‘neighbourhood’. 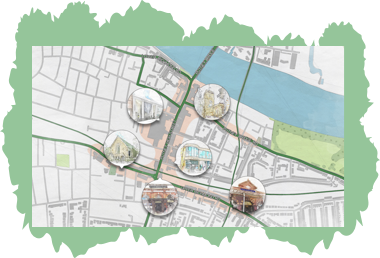 Many new ideas to bring to Putney – watch this space.